Gimenez had been the subject of interest from Man United. The deal will should speculation over the defender’s future, with Manchester United and Real Madrid among a host of teams linked with a move for Gimenez in recent months. 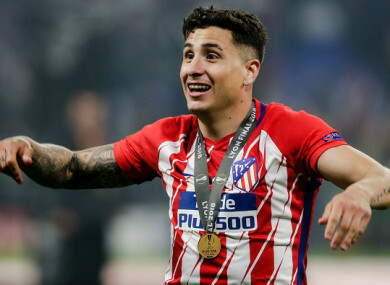 Gimenez featured just once in Atleti’s 2013-14 La Liga title-winning season, but he has since become a key figure for the club and started the Europa League final victory over Marseille last month. Email “Back off! Man United target Gimenez commits future to Atletico with five-year deal ”. Feedback on “Back off! Man United target Gimenez commits future to Atletico with five-year deal ”.